Notice that each letter fades out - leaving absolutely nothing of the original text towards the end. By the end of this tutorial, you will learn how to create this effect. The diagram does omit some small but crucial details, but it should give you a preview of what to expect. Let's start by designing the text. Launch either Flash CS4 or CS5 and create a new ActionScript 3 project. Quisque porta tincidunt elit, vestibulum sagittis ipsum semper ac. Nam. If you don't see Classic Text displayed, go ahead and select Classic Text from the drop-down. 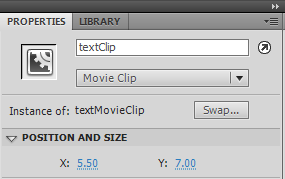 Once you are happy with what your text looks like, let's place all of this inside a movie clip so that you can reference it via code easily. Select your text field and press F8 or go to Modify | Convert to Symbol. The Convert to Symbol dialog will appear. 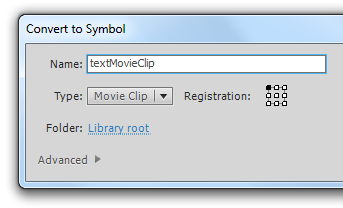 Click OK once you are done to dismiss this dialog and to convert your text into a movie clip. You will now have access to your text field again. 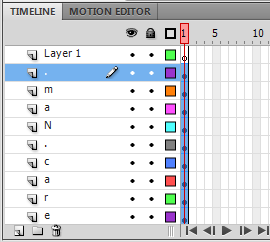 What we are going to do next is break apart our text and distribute each character to its own layer. If you haven't done so already, go ahead and Save this file. Give it any name you want, but just remember where you saved it for you will be adding more files in the same directory as this file really soon. You just finished the "designing" part of this tutorial where you took some text, broke the text into individual letters, and molded it into a shape that you can easily work with using code. We'll have to now shift gears from doing things visually to doing things using code...on the next page!